Meet our staff at Auto Connections of Bellevue of Bellevue, WA, providing clean and reliable used cars trucks, and SUVs for every budget. Born in Seattle, we moved to the Eastside in 1963. After graduating from Bellevue High School in 1971, I went to work for my Dad - who owned one of the first small grocery stores in the Bellevue area. I also enjoyed spending time restoring and selling old cars, a hobby that helped pay for college tuition. 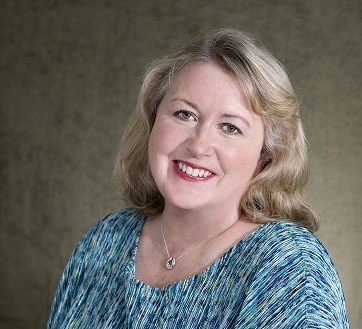 I eventually received my BA degree in Counseling and Education from Western Washington University and went on to work as a rehabilitation counselor for troubled kids, helping bridge communication between school, home, and the community. After 15 years as a counselor, my youthful hobby of working with cars led me to a part-time sales position at a small dealership and out of social work. Within just a couple years I realized that in order to conduct business the way I wanted - which was to sell cars with honesty and integrity - I needed to start my own company. And I'm now proud to say that this year, 2018, marks my 21st year as owner of Auto Connections in Bellevue! 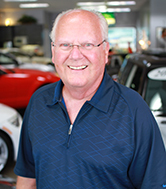 ​Having 40 plus years of experience in the Auto Industry in many different roles and capacities, I believe I have a very broad knowledge of our business. I spent over 20 years either selling or managing new car franchises and have seen just about everything in terms of how dealerships approach selling cars and how they view and treat their customers and what I can confidently say is that Auto Connections of Bellevue is at the very top of the list for the quality of vehicles and the integrity of how we do business. I love knowing that every car that we have for sale has been thoroughly vetted for both structural and mechanical integrity and is ready to be enjoyed for the long term. Cars are more than just a way to make a living to me. I am a true enthusiast and take great pride in representing unique, desirable and reliable cars and trucks at a very high value. I realize that cars can be anything from a passion and personality extension to a highly counted on appliance and I work hard to find the right vehicle for those extremes and everything in between! I have grown up and raised my four boys right here in the Puget Sound area and am very proud to represent Auto Connections of Bellevue for the last 10 years. This is a business that you can truly count on doing things the right way. 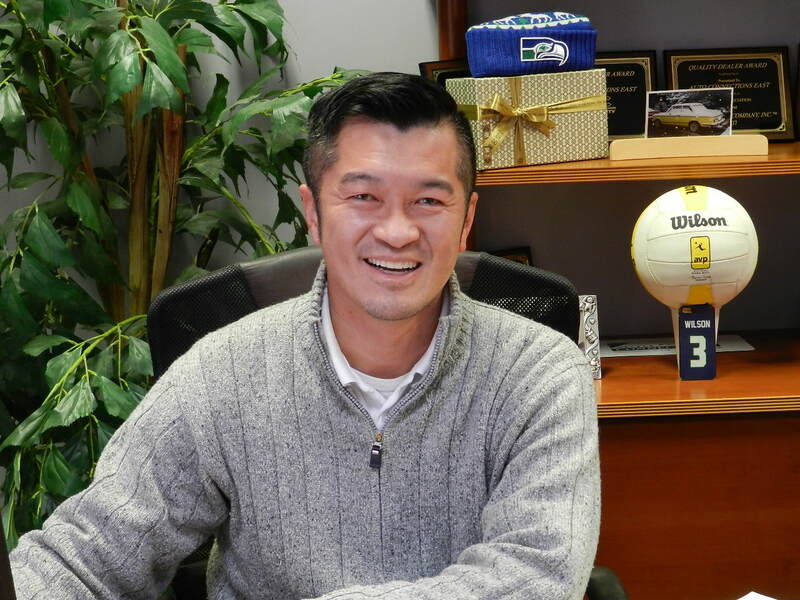 Born in Seattle, I graduated from Lindbergh High School in Renton, enrolled at Central Washington University and eventually earned a degree in Criminology from the University of Washington. My first job was at Al’s Auto Supply at age 16, where I began learning all about cars. While attending college I worked at B&B Auto Parts as well as a large franchise dealership as a salesperson for almost a decade. 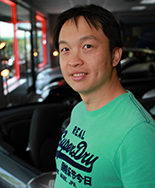 I’m passionate about cars and my goal is to ensure a high level of customer satisfaction and treat all with respect - which is why I'm working at Auto Connections of Bellevue - as it fits my low-key, low-pressure style and I get to sell high quality and carefully selected interesting cars! Some of the favorite cars I’ve owned include a 1974 Mercedes 280 Coupe (gas was cheap back in the 80’s but boy was this car thirsty), 1973 2002Tii, 1993 RX-7, 2004 Sti, 1998 E36 M3, 1995 840Ci and a 2004 Phaeton. My hobbies include indoor, grass, and beach volleyball; playing poker with friends; collecting mid-century furniture; volunteering for the Jubilee Women’s Center and Dine Out For Life; and I belong to several local Car Clubs as well. I look forward to helping you and your loved ones find just the right car while developing a relationship built on principles and trust. I'm proud to say I'm a lifelong Pacific Northwest area resident, grew up on Mercer Island, eventually graduating from MI High School - class of '83! My youthful love of sports provided me a baseball scholarship to the University of Portland, where I proudly earned a degree in Communications. After school, I began my professional career in the automotive industry - which I find very rewarding. I thoroughly enjoy working with and meeting new clients, assisting with vehicle warranties and protection products as well as financial programs - all designed to help you save money and protect your investment - very important!! 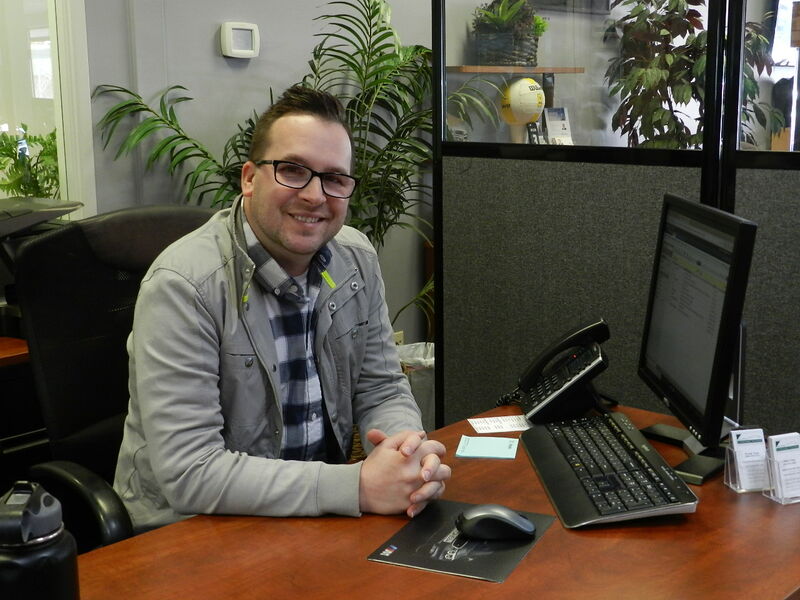 After working at a few different dealerships, I love that I've settled in at Auto Connections of Bellevue as they have the type of culture and environment that anyone would be proud to be a part of: friendly, low-key, family atmosphere and absolutely no high-pressure selling. Stop in, say hello, and allow me to show you how easy and simple it can be to finance and protect your new car! 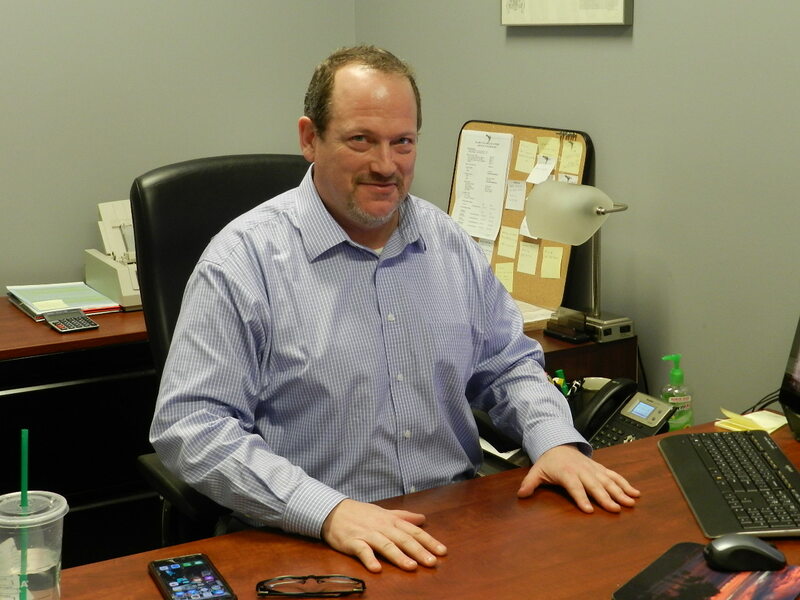 I've been in the auto industry for 20 years with experience in sales, finance and consulting. I'm an avid sports fan and football season ticket holder for the University of Washington. GO DAWGS! In my spare time I enjoy playing golf, baseball and spending time with my wife Kendahl. You can find us hanging at home with our cats, Chandler and Monica or wine tasting in Woodinville! The reason I wanted to join the Auto Connections family is the low pressure sales environment, with the focus on taking care of the customers and giving them the finest purchasing experience. I was born and raised in the Mt. Baker area, moved to Mercer Island as a teenager and graduated from Mercer Island High in 1972. I attended Gonzaga & Seattle U. where I played baseball and worked towards earning a degree in education. At the age of 22, I was offered a contract to play baseball for the Philadelphia farm system but since I was engaged to be married at the time I decided it was best to start working and settle into my life vocation instead. My father was in the auto industry, loved it and was very successful, so I called him and said "Dad I think I want to sell cars too”. He responded "No you don't", but I showed an early promise and used my persuasive skills to "sell" him on the idea. He asked me to be patient, made a few phone calls and eventually helped me land my first job. That was 35 years ago and I’ve been in the car business ever since. I spent the first 25 years working for new car dealerships as a sales rep. and in management. During that time, I discovered that I had an aptitude for appraising and buying pre-owned cars for inventory and eventually gravitated towards that aspect of the business. 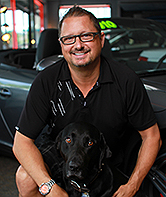 I meet Stu Cordova (founder of Auto Connections) through business and in 2003 he mentioned he was expanding his dealership - adding a buyer - and asked if I would be interested. I jumped at the opportunity and I’m happy to say that the past 10 years have been absolutely the best and most enjoyable for me so far. Stu sets the tone, allowing us the freedom to conduct business in a professional, relaxed, low pressure atmosphere and I consider my association with all the members of the Auto Connections “family” to be one of the greatest blessings of my life. My wife Rebecca and I live in Newport Hills, she’s a Special Ed teacher at the International School and we love to golf, swim, play tennis and enjoy spending lots of family time with our 6 children - three of whom are also in the auto industry! A native of Seattle, I've lived in and around the city my entire life, except for a few college years in Santa Rosa, California. I consider myself an entrepreneur, and I love the art of making deals. My true passions in life-in no particular order-are skiing and snowboarding, selling, boating, more selling, playing with my daughter, and closing deals. Whether its cars, boats, motorcycles, or houses, I'm either buying or selling, and somehow I keep a roof over my head. It used to be about how much money I could make, but now it's about my quality of life. Working at Auto Connections, and for Stu, gives me that quality, and I hope to pass that on to my customers. The reason I sell cars at Auto Connections is because I want to change the stereotype of the used car business. Everyone thinks it's a place where you're going to be misled and mistreated, and end up with a lemon. But our company offers its customers more, because our business plan is simple: we treat people with respect and honesty, we deliver a reliable product, and we stand behind that product. I was born and raised in Taiwan. At the age of 14 I left my home country to pursue my education in Canada as a foreign exchange student. Later, at the age of 16, I completed my high school and college education in the United States. Leaving my family in Taiwan, I became my own guardian. The life experience of taking care of myself from early age taught me a lot about life. I would describe myself as a self – motivated individual. Auto Connections of Bellevue allows my self-motivation to thrive – as I believe it is a key element of success. Among my love for cars, I enjoy biking, basketball, trading timepieces, and traveling. I am honored to speak both English and Chinese. 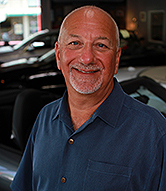 I’ve been in the car business about 13 years – all at Auto Connections of Bellevue. I simply love people and cars! It’s great working at Auto Connections, as it allows me the ability to provide people with a quality product at a fair price. I’m able to treat people how I like to be treated – fairly, honestly and with integrity. My leisure time is spent golfing, fishing, and skiing and I’m proud to say that I’m active in my church and I’ve been married to the same great lady for over 32 years! I’ve spent my entire life in the automotive industry. Beginning my career with General Motors Institute in Michigan and working as a cooperative student with Chevrolet Motor Division. Upon graduating, I spent the next five years working as a factory service and sales consultant with Chevrolet in Seattle, Salt Lake City, and San Diego. After five years, I left Chevrolet to enter the fascinating world of advertising. I implemented regional and national advertising campaigns for Chevrolet, Cadillac, and Honda dealers throughout the Midwest and in Southern California. 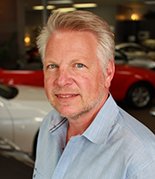 In 1987, I began my career as an automotive purchasing consultant in Los Angeles. This position also took me to Denver and back to Seattle in 1992, where I’ve been assisting individuals and companies with the purchase and/or lease of new and used vehicles. Rusty worked at Auto Connections for over 15 years as the Official Greeter. He enjoyed meeting everyone who came in and was a wonderful addition to the staff. His gentle nature, wet nose and wagging tail will be missed by all who knew him. Rest in peace.